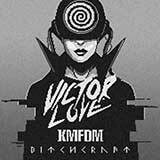 Victor Love - Technomancy is a merging industrial & dark electro. Distorted drums, obscure synths and controversial lyrics. The album features guest stars KMFDM, Deathstars, Spiritual Front, Army Of The Universe, Aborym & Zu and emerging artists Deflore, The Enigma TNG, Hate Inc. & ORAX. 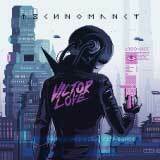 An album rich with different styles and featuring exceptional artwork designed by pixel artist Valenberg.